For as long as there has been a Formula 1 class of racing, the cars have been under constant development – some years the changes have been smaller, sometimes bigger, sometimes taking a step back in performance in the name of legislation. Rule changes affect the ways the cars look like and the way they are powered, and the latest important addition has been the adoption of the protective halo. The halo is largely a separate part adapted to the current design, but what would a 2021 Formula 1 car look like, with the halo a more integral part of the car’s looks? 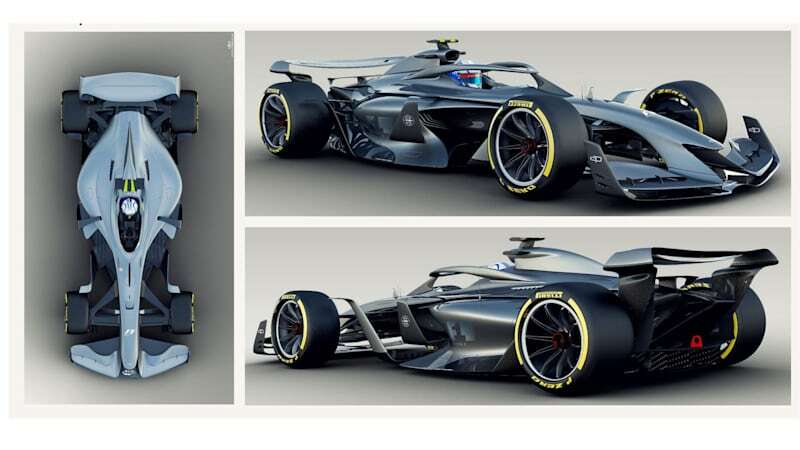 The sport itself has some answers to that, as we can see from these renders released at Formula 1’s own website. As well as having the cars look good – good enough to make it on bedroom posters – F1 boss Ross Brawn says the cars have to “race well together,” meaning that there’s downforce control to be done at design stage. “What we established early on in our research is the cars we have now are very bad in following each other. Once the cars get within a few car lengths of each other, they lose 50% of their downforce. That’s a substantial amount of performance lost. So we set about understanding why that was and how we can improve it. I’m pleased to say we’re at about 80%,” says Brawn. Formula 1 released these sketches of three concept stages, with the emphasis varying from integrating the halo into the design, to making the design more aggressive, to incorporating larger 18-inch wheels – something technically justified for F1 – and to airflow control. “The tires and the wheels are the dirtiest area of the car, they cause huge disruption in the airflow,” says Brawn. “We are starting to look at devices that can stabilize the flow as it comes of the wheel. It’s maturing as we go along.” These designs will eventually lead to an agreed-upon form that will be signed off in late 2019.